"Charles went on and beyond to make sure that we were happy and closed on time. The process was so smooth our friends kept saying, "just wait, just wait you'll see!" We will definitely use him again and would recommend him to anyone that is needing a mortgage." "Charles was very thorough with our paper work. He made sure nothing slipped through the cracks. Great service and a very nice guy as well. I would recommend Charles to anyone looking for a home in the future." "Charles was wonderful! I originally started the home buying process with a different bank and decided to switch to working with Charles and Lender One. It was the best decision! Charles had all the answers I needed at any time night or day. He helped me so much. Being a first time home buyer there was a lot to learn. He took the time to make sure I understood everything and that not one single detail was missed. Charles made my first time home buyer experience wonderful!! Thank you so so much!" 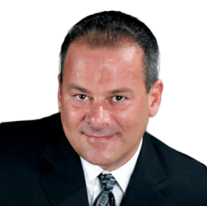 "My experience with LeaderOne, and specifically Charles Ferrara, was outstanding. There were some speed bumps along the way, which was not unexpected, but Charles always went out of his way to clearly communicate what was needed to clear them up and what the status of where everything was. Charles kept us informed every step of the way. He even went the extra mile a couple of times to insure that we were able to close on our scheduled date." "Charles was good at letting us know what was happening and what would be happening next as we progressed through the mortgage process. He was very knowledgeable and kept us well informed." "On what I consider a short time span for a closing date, I thought the speed and accuracy that this loan was completed was outstanding. I will definitely use Charles Ferrara again. I will also highly recommend him to anyone that I know in need of a mortgage!" "We could not be happier! After being rejected and mistreated by a different company, you all made it happen and we are now living in our own home; a much better place to be when raising a family. Thank you for being the best mortgage banker!"